The Nationalist Party is not against the possibility of land reclamation as long as it is implemented in an appropriate manner and not as a knee-jerk reaction to a “construction waste crisis”, MP Jason Azzopardi said on Tuesday. "The size of the reclaimed land should not be proportionate to the amount of construction waste we produce,” Azzopardi said. “Land reclamation should not be a short-sighted reaction to a problem but an adequately researched possibility." 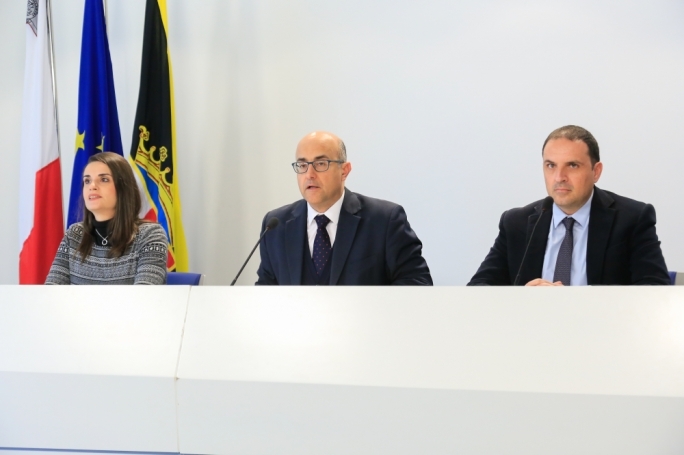 Azzopardi was speaking at a press conference during which the PN presented proposals and recommendations for the management of construction waste. "Before 2012, the PN had already consulted with Scott Wilson Group on the possibility of land reclamation," Azzopardi said, adding that the consultation had resulted in a 300-page document. With regards to construction waste, Azzopardi argued that the fact that space to dispose of the ever-increasing volumes of construction waste was running out had been caused by a “deficient and incompetent” government. "Since the government opened the floodgates and decided to base the country’s economy on the construction sector, we are now facing a crisis as a nation, where the people and the environment in particular are suffering tremendously, " Azzopardi said. PN MEP candidate Michael Briguglio, who was present at the conference, suggested a number of proposals to help deal with the corollary of the building boom. 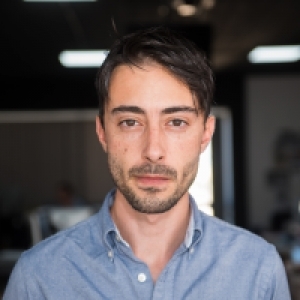 Briguglio insisted that the current problem should be viewed as an opportunity, while Azzopardi added that there was a market for Malta’s “beautiful stone” abroad. Azzopardi said he would be writing to Alex Muscat, the Chairman of the Environment and Development Planning Committee, for the construction waste issue to be put on the agenda and immediately addressed. Replying to questions in Parliament, the environment minister said that he agreed with most of the proposals brought forward by the PN but had some reservations. "With regards to your proposal for reconstituting stone, I've talked with many investors about the issue. Not all material is viable here because the resulting stone can be, in some cases, more expensive than normal stone," Herrera said. However, the minister said he would be very willing to collaborate with the opposition on the issue and, in fact, had already been entertaining some of the ideas the PN presented today. On the topic of land reclamation, Herrera lamented the fact that the opposition was so vociferously belligerent to the idea when the government had not made any plan public yet. "Before you come out so vociferously against government entertaining the idea of land reclamation, give me some time. I will invite the opposition and Partit Demokratiku to a presentation on the government's vision on this issue. Then you can criticise as much as you like," he said. Herrera added that the construction waste problem had not developed overnight but had been there for years and that the situation was exacerbated when no new licenses for quarries were being issued. "Quarries that are kept closed by operators means that prices keep going up," he said. Reacting to Azzopardi's assertion, that the PN agreed in principle with land reclamation, the Labour Party said it was a step in the right direction. "This means the we have broad consensus in the country on a matter of great importance," the PL said. "One now hopes that when the country needs to discuss the next steps for a project of this nature, that the PN participates in a constructive manner." The PL added that it hoped that the PN's attitude would be different to the one it adopted in discussing Malta's waste management problem, where "despite every invitation for it to be a part of the discussion, it chose to remain on the sidelines in order to play a partisan game".